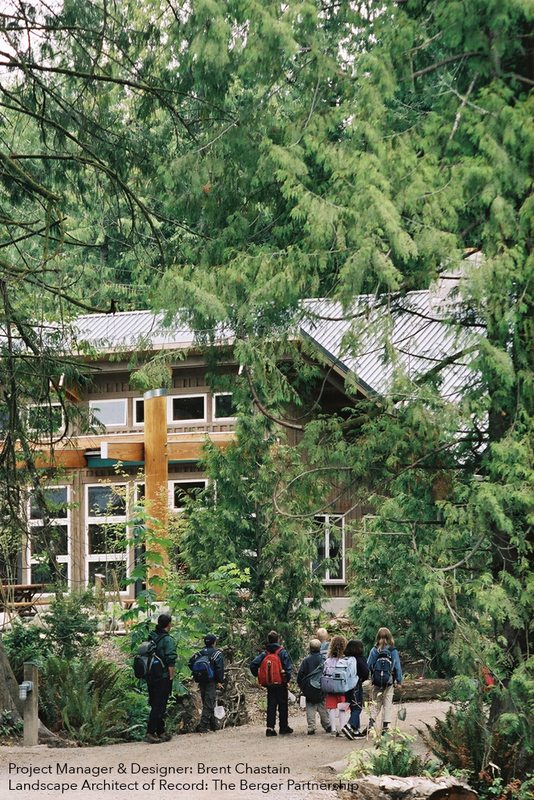 Serving the Community: A ‘school in the woods,’ IslandWood is an environmental learning and retreat center focused on regenerating the land while teaching the community about sustainability and ecology. The Living Machine is a solar aquatic system that uses living organisms and plants to transform effluent into clean water used primarily for toilet flushing and irrigation. The system was designed to promote learning through observation and interaction. Celebrating the story of the natural cleansing process, the system layout allows visitors to view each step along the way. Beginning with anaerobic activity that break down the solids, continuing to aerobic activity that further cleanse the water, and finishing by settling out the particulates in the adjacent wetland that “polishes” the water. 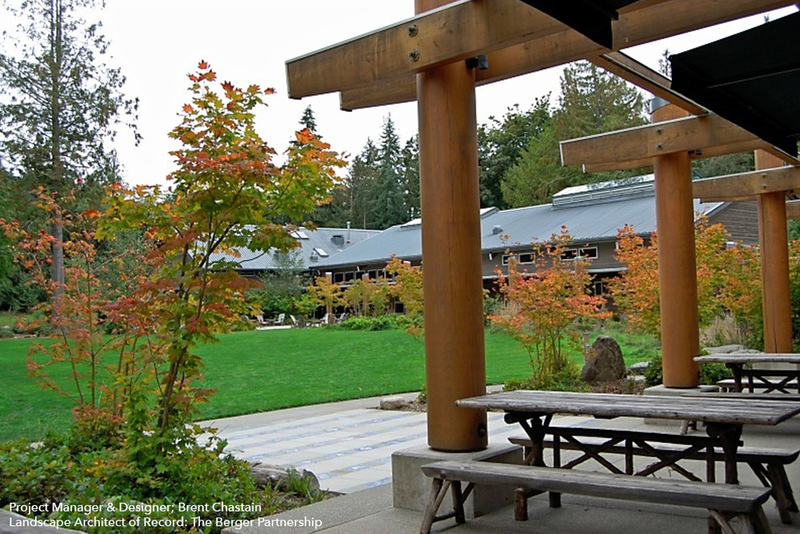 The Organic Garden is a series of outdoor rooms including an outdoor classroom, a greenhouse and a nursery. These serve to tie together each function of the garden. 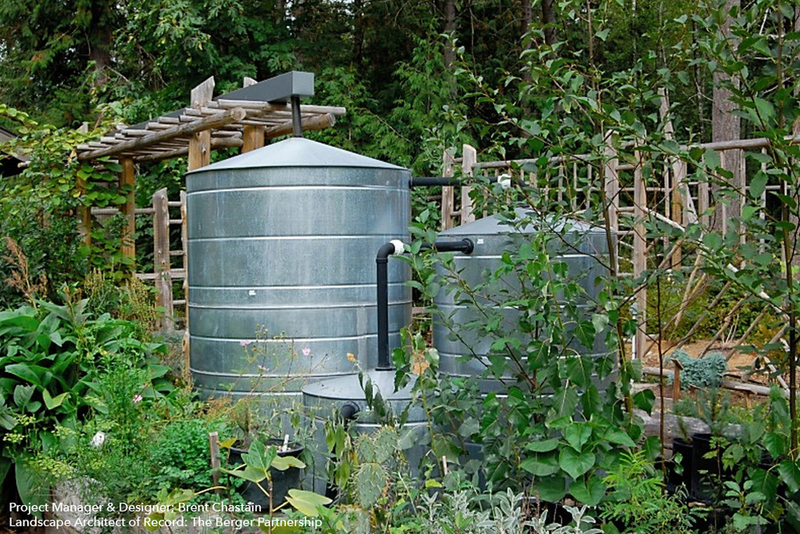 The nursery houses a series of rainwater cisterns, and is also where plants are grown for ongoing campus restoration of areas that historically have been disturbed by development and deforestation. The garden design layout is inspired by the food pyramid, and is used as a teaching tool by featuring vegetable and edible plant beds that support nutrition and a healthy lifestyle. 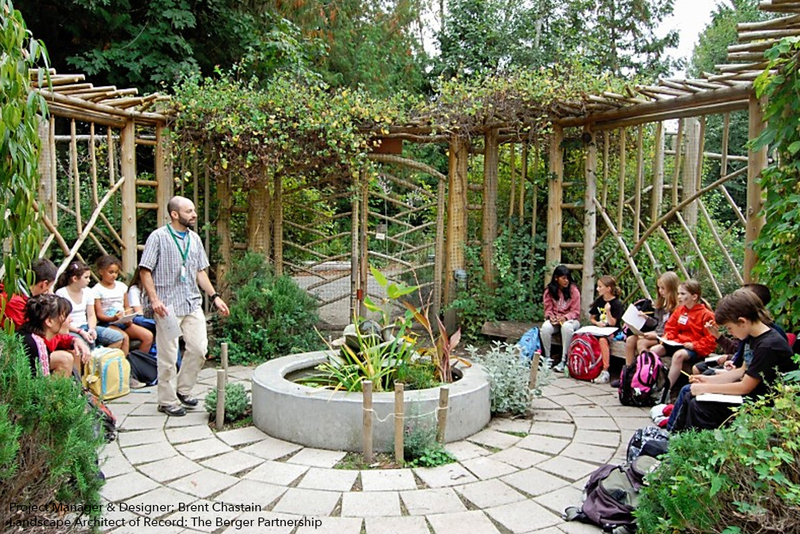 The outdoor classroom serves to tie together both the nursery and the garden. Interactive demonstrations teach the community about where food comes from and how to build a balanced and healthy diet from the soil up. Role: Brent served the Project Manager and Designer of the Living Machine and Organic Garden portions while at The Berger Partnership.